A group of endangered Mallee Emu-wrens have recently given us a lot to celebrate! Following two translocations which saw 78 Mallee Emu-wrens released in Ngarkat Conservation Park, we’re excited to announce the tiny birds are thriving in their new home and the Zoos SA conservation team is celebrating some baby birdy joy! 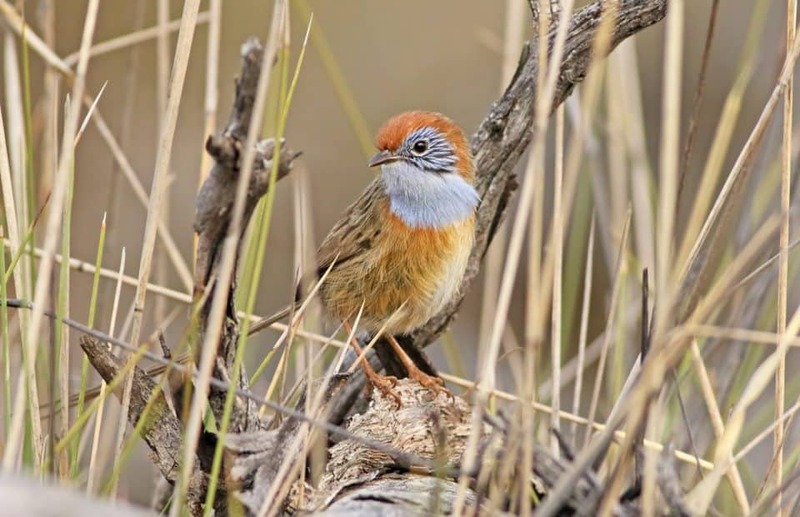 After disastrous wildfires saw Mallee Emu-wrens disappear from their grassy South Australian habitats during the summer of 2013 and 2014, a management plan was quickly devised for the teeny mallee species. 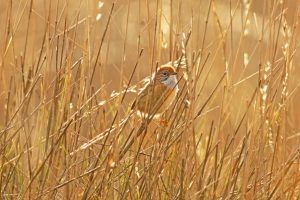 This plan saw a number of the birds, who weigh around four grams – the same as a teaspoon of sugar, relocated from Victoria to their previous native range in South Australia last year. Six months after completing both the translocations, some very exciting behaviours from the wrens were observed. 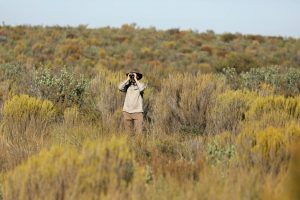 “In October, 30 of the birds released as part of the translocations were sighted and found to have settled in really well,” Zoos SA Conservation Manager Dr Liberty Olds says. While the team were thrilled to identify many of the birds, they were quick to notice some of the birds acting in quite a secretive manner. “It was really exciting to later hear this reluctance to be spotted was due to the fact they had young with them! In total, nine breeding groups of birds were observed with seven of those having little fledglings in tow. Breeding is a great indicator that the birds are feeling comfortable and safe in their new home, a huge accomplishment for the relocation team. We’re also pleased to report the substitute Rufous-crowned Emu-wrens who are testing out our specialised Mallee Emu-wren breeding facility at Monarto Zoo are thriving, providing staff with vital information about the needs of wrens in captivity. This puts us in a better position than ever to begin a critical breeding program for Mallee Emu-wrens at our site. As a conservation charity, we exist to give species just like the tiny Mallee Emu-wrens a lifeline into the future. 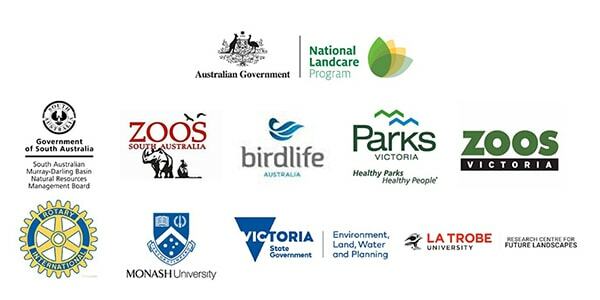 This project is supported the South Australian Murray-Darling Basin Natural Resources Management Board through funding from the Australian Government’s National Landcare Program and NRM levies, as well as contributions from all project partners including BirdLife Australia, Zoos SA, the Victorian Department of Environment, Land, Water & Planning, Parks Victoria, Rotary International, La Trobe University, Monash University and Zoos Victoria.